Seminarian Yuri, Rev. Sasha Yurchenko, and Elder Misha greets Rev. Dimitroff (right) at the door of the church. Wednesday’s (May 11) invitation to travel to Kagarlik was a bit out of the ordinary. Usually church is held on Sunday, even in small villages. The added invitation to attend Holy Communion made the trip all the more appealing. 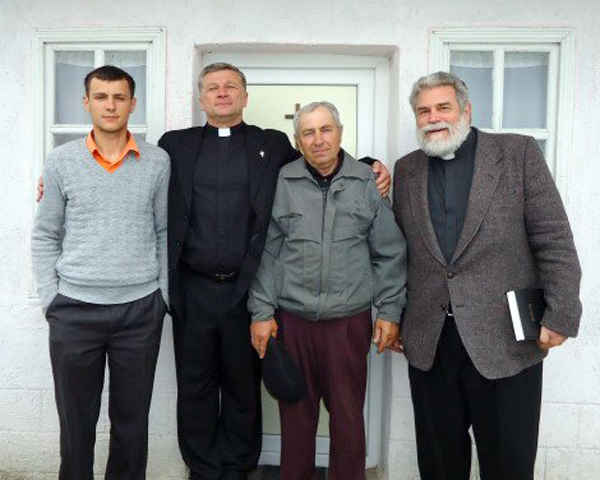 Besides, this was an opportunity to visit the home village of one of our seminarians and meet his family. In an effort to become better acquainted with the students, it was an offer I wouldn’t want to decline. Kagarlik is about 40 kilometres away from the million-plus city of Odessa. Wednesday’s preacher was to be Rev. Sasha Yurchenko, who graduated from the first Ukraine seminary class almost 11 years ago. As we drove toward Kagarlik, one could see endless fields of yellow-flowered canola. No wonder so many people have remarked on the similarity between Ukraine and Saskatchewan. Other fields awaited seeding, but overall the agricultural enterprise seems efficient and up-to-date. To get to Kagarlik, the car passed through the even smaller village of Kamenka. I remembered that Kamenka was the site of the original seminary LCC helped staff and organize in 1998. I hoped we would pass by that first seminary building, but later was told that the church area in Kamenka is now, unfortunately, in ruins. As we arrived in Kagarlik, the entire congregation was already seated. I entered along with senior pastor Yurchenko, church elder Misha and seminary student Yuri. After singing a number of beautiful hymns, the normal style in Ukraine of two consecutive sermons followed. My student, Yuri, preached first on Luke 24. He brought out the important message of Our Lord’s constant caring and companionship along the road of life. Next, Rev. Yurchenko spoke. 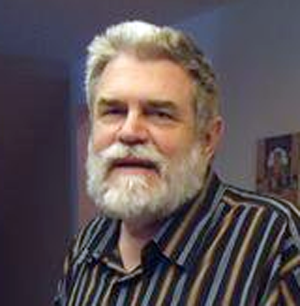 He impressed me deeply with his God-given ability to zoom in on important Bible themes. His style was intense and full of vigour. After almost half an hour, the congregation sang a few more hymns before Communion began. The tradition in this congregation, and possibly others in Ukraine, is to allow individual congregants to pray personal prayers aloud, just before consecration of the elements. On this day, some seven people raised their voices to ask for help at the throne of grace. Personal prayers also followed, once the sacrament was finished. All congregation members in Ukraine receive Holy Communion kneeling—but there are no pads or pillows. This meant everyone knelt and rose on the linoleum, without a mishap. When my turn came, I hoped I would not tip over, and fortunately, there was no problem. It was my pleasure to bring greetings to this congregation from all the believers in Lutheran Church–Canada. The congregation, in turn, sent back praise and glory to God for the faithful support LCC has given over the years to seminary training and congregational support of the small, confessional Ukraine Lutheran Synod (SELCU). Following the service I was delighted to meet Yuri’s wife and six-year-old daughter. The elder, Misha, announced that this coming Saturday would be a work day for the congregation–the entire third floor needed painting. Many volunteers offered to help. Even though the village is one of thousands scattered in southern Ukraine, Kagarlik was very special. Here we see the Lord’s hand steadily at work, bringing Word and Sacrament to all who believe, even on a Wednesday afternoon. I am still trying to determine why Sunday was unavailable and it may have had to do with the church repair and painting set to begin Saturday. But in any event, this was a most memorable village that formed a solid contrast with metropolitan Odessa. 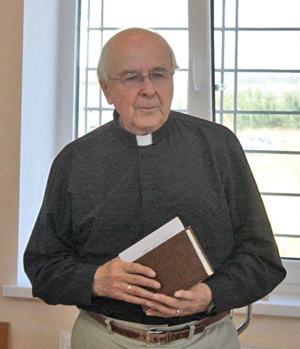 Odessa may be “Mama” in the local slang (meaning flamboyant and intrusive) but Kagarlik is faithful, devoted to the Lutheran confessions, and inspiring! Rev. Dr. James Dimitroff is pastor of Grace Lutheran Church in Saskatoon, Saskatchewan. He is currently teaching seminary classes in Odessa Ukraine. May 9 is a national holiday in Ukraine (and in most of the former Soviet Union). It was universally called Victory Day as it marked the final capitulation of Nazi forces in World War II, with special reference to the Nazi onslaught that started against the Soviet Union in June 1941. In Ukraine, which suffered occupation by Nazi forces between 1941 and 1944, memories are especially severe and tragic. And so even though Ukraine enjoys sovereign statehood today, the government still celebrates the victory over Hitler and his forces. In the city of Odessa, the lilacs burst into bloom just before May 9. 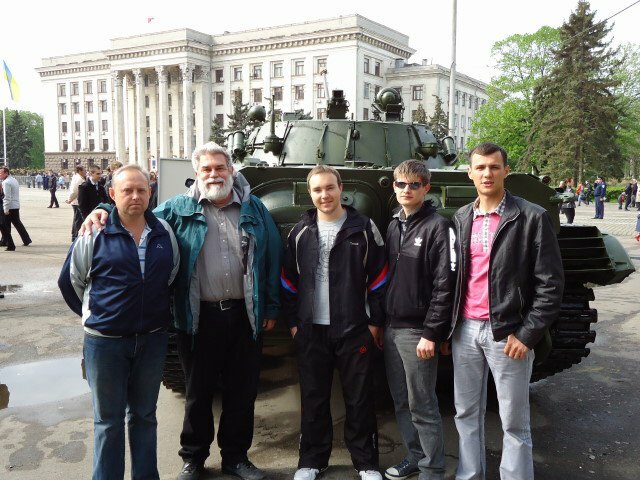 With spring in the air, Odessa seminary students decided, rightly, to respect the holiday and attend a festival honouring the World War II defenders of the city, and Ukraine in general. We drove downtown from the seminary and parked near the central train station. There, through the park, we visited several tank emplacements, saw a few of the remaining veterans proudly wearing their medals and vintage uniforms, and heard an orchestra play patriotic tunes. Of course, being good Lutherans, the students arrived an hour and a half before the festivities began. That meant we needed something to fill in the time. “Why not walk to the Black Sea?” they suggested. It sounded like a perfectly reasonable idea, especially since the seashore was only “20 minutes” away. Some 40 minutes later, we were still walking, but finally arrived at a lovely, private beach not yet open for business. We got back to the city plaza in good time. We watched the parade and heard the patriotic music. The younger generation in Ukraine has a hard time imagining events of 66 years earlier. There seem to be more immediate concerns: high inflation in the economy (somewhere around 10 percent per month), unemployment and a muddled political picture. As we drove back to an area called, ominously, The Catacombs, we stopped to see the underground tunnels used by partisans in their struggle against the Nazi occupation. These underground labyrinths weave an extensive net that extends for a hundred miles deep underneath the Odessa highlands and city proper. Tomorrow we return to the seminary curriculum, which happens to be “The Nature of Sin.” A perfect tie-in to what we saw today: results of unbridled sin and defiance of God’s love and law in the city of Odessa and world-wide. We will have lots to talk about as we look at humanity’s inhumanity, our inherent corruption, and God’s great love in sending us a Saviour who brought us redemption. Rev. Jim Dimitroff is pastor of Grace Lutheran Church in Saskatoon, Saskatchewan. Rev. Dr. James Dimitroff, who is fluent in Russian, is beginning a six-week seminary teaching assignment in Odessa , Ukraine. May Day greetings to all from the heart of Odessa, Ukraine! May Day used to be the big political holiday with parades and fireworks. Now things are far more quiet. Arrival here from Toronto via Istanbul was hectic and slightly confusing. The Concordia Seminary, where I am to teach beginning tomorrow, was closed for the Easter holidays. All the students went home to villages and other cities for a few days’ rest with family. Only one student, Valery Verba, returned early to meet me at the Odessa airport. We had never seen one another, but amid the wild crush of frantic Odessans trying to return home from Turkey, Valery somehow found me easily. The Ukraine immigration inspector was more officious. He demanded to know exactly how much cash I was carrying at that moment and the reason for my coming to Ukraine. I told him I was the Concordia Lutheran Seminary instructor but he heard only the word “seminar” and let me through with little trouble. Odessa is in bloom—all the flowering cherry trees, apple trees and linden trees declare the glory of God’s creation. On the surface, it is a charming seaport with more than 1 million people living in and around the coastal areas. Pre-trip reading of a new book just released in 2011 (Odessa: Genius and Death in a City of Dreams) spells out the tragic history of this major Ukraine metropolis. True, there were decades of great export deals, a large Jewish cultural influence and the special flavour of Odessan humour. But so much was lost during the war years. Odessa was occupied by Fascist Romania as a “gift” from their Nazi allies. Horrendous pogroms and deportations followed. When the Soviets regained control in 1945, they proclaimed Odessa to be a “Hero City” because it had resisted the Nazis for 87 days. There were only a total of four original “Hero Cities” that earned this special mention. This is important because next week, on May 9, Odessa will celebrate “Victory Day” as a national holiday along with many other former republics of the former Soviet Union. 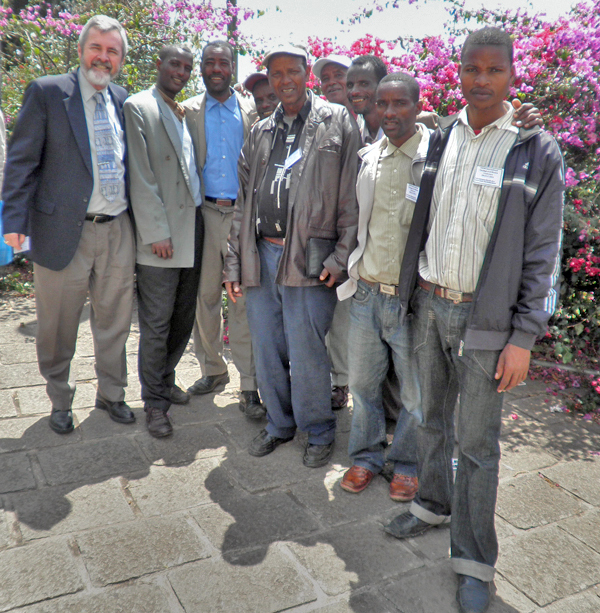 Concordia Lutheran Seminary is a beautiful example of cooperation in international mission. The brand-new building, dedicated in August 2010, is comfortable and clean. Its location on the outskirts of Odessa means there is a haven of peace and quiet for the seminarians to study and apply themselves. This morning, I visited the Lutheran congregation pastored by Rev. Oleg Shewtshenko in downtown Odessa. As Oleg is away in Germany for a few weeks, the main sermon was given by Valery Verba, the only student I’ve met so far. Seminary students fill in at this congregation from time to time. That church too has been beautifully and tastefully rebuilt. It is the landmark St. Paul’s Lutheran, which towers over the city from one of its highest hills. For almost a century, ships arriving at the Odessa port would use the light from St. Paul’s steeple to be their beacon for navigation. Our beacon is Jesus Christ. This morning’s sermon dealt with Our Lord’s powerful words to Thomas and Thomas’ subsequent declaration of new-found faith. In his sermon, Valery Verba asked the parishioners to examine their faith too, so that it is not found to wobble in the face of “Reason’s” so-called challenge. Once again, may I wish you a blessed May Day from the Instructor’s Room in Concordia Lutheran Seminary. Keep the Odessa seminary and its students in your fervent prayers as they prepare for a lifetime of faithful ministry to the Lord and Beacon of our life, Jesus. ADDIS ABABA, Ethiopia – The second day of the Ethiopian Evangelical Mekane Yesus Church (EEMYC) Theological and Missions Conference saw around 3.000 pastors and other church leaders gathered for education, inspiration and fellowship. It was a day packed with music, preaching and essays focusing on different areas under the major theme of mission. Rediscovery of the power of the Holy Spirit in providing for the person in all aspects of life – spiritual and physical. People who had received a prayer during a difficult physical illness, a tragedy, or at a death-bed committed themselves completely to the witness of their faith in Jesus Christ. 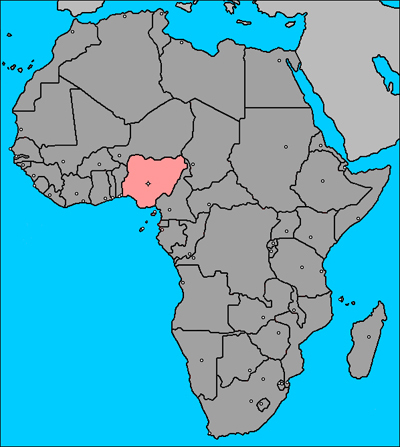 The church has a strong social ministry with a budget of about 3.1 billion birr (their currency) or about US$18.3 million.